The sun glinted on the elegant mansard roof of The Cottage, as Abe Braunstein drove around the last bend in the seemingly endless driveway. The sight of the imposing French manor would have taken his breath away, if the driver had been anyone but Abe. It was a spectacular home, and he had been there dozens of times before. The Cottage was one of the last legendary homes of Hollywood. It was reminiscent of the palaces built by the Vanderbilts and Astors in Newport, Rhode Island, at the turn of the century. This one was in the style of an eighteenth century French chateau and was opulent, handsome, graceful, exquisite in every aspect of its design. It had been built for Vera Harper, one of the great stars of silent movies, in 1918. She had been one of the few early stars to conserve her fortune, had married well more than once, and had lived there until she died at a ripe old age in 1959. Cooper Winslow had bought it from her estate a year later. She had had no children and no heirs, and had left everything she had, including The Cottage to the Catholic Church. He had paid a handsome sum for it even then, because his career had been booming at the time. 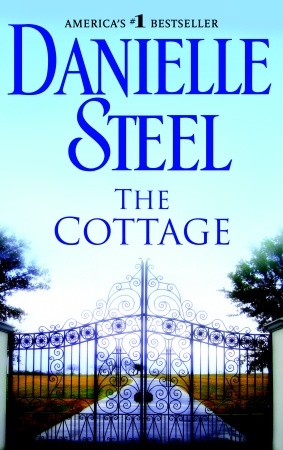 His acquisition of The Cottage had caused a considerable stir. It had been quite an extraordinary house and property for a young man of twenty-eight, no matter how major a star he was. Coop had had no embarrassment about living in the palatial home, and was comfortable that it was worthy of him. The house was surrounded by fourteen acres of park and impeccably manicured gardens in the heart of Bel Air; it had a tennis court, an enormous pool paved in blue and gold mosaic, and there were fountains located in a number of places on the grounds. The design of the grounds and gardens had allegedly been copied from Versailles. It was quite a place. Inside the house were high-vaulted ceilings, many of them painted by artists brought in from France to do the work. The dining room and library were wood-paneled, and the boiseries and floors in the living room had been brought over from a chateau in France. It had provided a wonderful setting for Vera Harper, and had been a spectacular home for Cooper Winslow ever since. And the one thing Abe Braunstein was grateful for was that Cooper Winslow had bought it outright when he purchased it in 1960, although he had taken two mortgages out on it since. But even they didn’t hamper its value. It was by far the most important piece of property in Bel Air. It would have been hard to put a price on it today. There were certainly no other houses comparable to it in the area, or anywhere else for that matter, except maybe in Newport, but the value of the estate in Bel Air was far greater than it would have been anywhere else, despite the fact that it was now somewhat in disrepair. There were two gardeners pulling weeds around the main fountain as Abe got out of his car, and two others working in a flowerbed nearby, as Abe made a mental note to cut the gardening staff in half, at the very least. All he could see as he looked around him were numbers, and dollar bills flying out windows. He knew almost to the penny what it cost Winslow to run the place. It was an obscene amount by anyone’s standards, and certainly by Abe’s. He did the accounting for at least half the major stars in Hollywood, and had learned long since not to gasp or wince or faint or make overt gestures of outrage when he heard what they spent on houses and cars and furs and diamond necklaces for their girlfriends. But in comparison to Cooper Winslow, all of their extravagances paled. Abe was convinced that Coop Winslow spent more than King Farouk. He’d been doing it for nearly fifty years, he spent money like water, and hadn’t had an important part in a major movie in more than twenty years. For the last ten, he’d been reduced to minor character parts, and cameo appearances, for which he was paid very little. And for the most part, no matter what the movie or the role or the costume, Cooper always seemed to play the dashing, charming, fabulously handsome Casanova, and more recently the irresistible aging roue. But no matter how irresistible he still was on screen, there were fewer and fewer parts for him to play. In fact, as Abe rang the front door bell and waited for someone to answer, Coop hadn’t had any part at all in just over two years. But he claimed he met with directors and producers about their new movies every day. Abe had come to talk turkey with him about that, and about cutting back his expenses radically in the near future. He had been living in debt and on promises for the past five years. And Abe didn’t care if he made commercials for his neighborhood butcher, but Coop was going to have to get out and work–and soon. There were a lot of changes he was going to have to make. He had to cut back dramatically, reduce his staff, sell some of his cars, stop buying clothes and staying at the most expensive hotels around the world. Either that, or sell the house, which Abe would have preferred. He wore a dour expression as he stood in his gray summer suit, white shirt, and black and gray tie, as a butler in a morning coat opened the front door. He recognized the accountant immediately and nodded a silent greeting. Livermore knew from experience that whenever the accountant came to visit, it put his employer in a dreadful mood. It sometimes required an entire bottle of Cristal champagne to restore him to his usual good spirits, sometimes an entire tin of caviar too. He had put both on ice the moment Liz Sullivan, Coop’s secretary, had warned Livermore that the accountant would be arriving at noon. She had been waiting for Abe in the paneled library, and crossed the front hall with a smile as soon as she heard the bell. She had been there since ten that morning, going over some papers to prepare for the meeting, and she’d had a knot in her stomach since the night before. She had tried to warn Coop what the meeting was about, but he’d been too busy to listen the previous day. He was going to a black-tie party, and wanted to be sure to get a haircut, a massage, and a nap before he went out. And she hadn’t seen him that morning. He was out at a breakfast at the Beverly Hills Hotel when she arrived, with a producer who had called him about a movie with a possible part in it for him. It was hard to pin Coop down, particularly if it involved bad news or something unpleasant. He had an instinctive sense, a kind of finely tuned supersonic radar that warned him almost psychically about things he didn’t want to hear. Like incoming Scud missiles, he managed to dodge them with ease. But she knew he had to listen this time, and he had promised to be back by noon. With Coop, that meant closer to two. “Hello, Abe, it’s nice to see you,” Liz said warmly. She was wearing khaki slacks, a white sweater, and a string of pearls, none of which flattered her figure, which had expanded considerably in the twenty-two years she’d worked for Coop. But she had a lovely face, and naturally blonde hair. She had been truly beautiful when Coop hired her, she had looked like an advertisement for Breck shampoo. It had been love at first sight between them, not literally, or at least not from Coop’s side. He thought she was terrific, and valued her flawless efficiency, and the motherly way she had taken care of him from the first. When he hired her she had been thirty years old, and he was forty-eight. She had worshipped him, and had a secret crush on him for years. She had given her life’s blood to the impeccable running of Cooper Winslow’s life, working fourteen hours a day, sometimes seven days a week, if he needed her, and in the process, she had forgotten to get married or have kids. It was a sacrifice she had willingly made for him. She still thought he was worth it. And at times she was worried sick about him, particularly in recent years. Reality was not important to Cooper Winslow. He considered it a minor inconvenience, like a mosquito buzzing around his head, and he avoided it all costs. Successfully, from his perspective at least, most of the time. Nearly always in fact. Coop only heard what he wanted to hear, i.e., only good news. The rest he filtered out long before it reached either his brain or his ears. And so far, he had gotten away with it. Abe had come that morning to deliver reality to him, whether Coop liked it or not. “Hello, Liz. Is he here?” Abe asked, looking stern. He hated dealing with Coop. They were opposites in every way. “In what? A cartoon?” Liz very diplomatically did not respond. She hated it when people said rude things about Coop. But she also knew how irritated the accountant had been with him. Coop had followed absolutely none of his advice, and his precarious financial situation had become even more so, disastrously so in fact, in the past two years. And Abe’s last words to Liz on the phone the day before had been “This has to stop.” He had come on a Saturday morning to deliver the message, and it annoyed him no end that as usual, Coop was late. He always was. And because of who he was, and how endearing he could be when he chose to, people always waited for him. Even Abe. “Would you like a drink?” Liz asked, playing hostess, as Livermore stood by stone-faced. He had a single expression he used in every situation, none. It seemed to suit his part. Although rumor had it that once or twice, when Cooper teased him mercilessly about something, he had actually smiled. But no one had actually seen him do it, so it was more legend than fact. But Coop swore he did. “No, thanks,” Abe said, looking almost equally expressionless as the butler, although Liz could see that irritation was creeping in at a rapid speed. “Iced tea?” There was still an ingenue quality about her as she tried to put him at ease. “That would be fine. How late do you think he’ll be?” It was twelve-oh-five. And they both knew that Coop would think nothing of being an hour or two late. But he would come armed with a plausible excuse, and a dazzling smile, which made women go weak at the knees, but not Abe. His more recent parts had been walk-ons, or showed him walking in or out of a premiere, or at a bar draped over some girl. Almost every part he played was in black tie. And he was as charming on the set as he was in real life. So much so that even now, the perks in his contracts were legendary. He somehow always got to keep his costumes, and negotiated his wardrobe, custom made at all his favorite tailors in Paris, London, and Milan. In addition to which, much to Abe’s chagrin, he continued to buy more, wherever he went, along with antiques, crystal, linens, and staggeringly expensive art for his house. The bills were stacked up on Abe’s desk, along with the bill for his most recent Rolls. Rumor had it he currently had his eye on a limited-edition, turbo-powered convertible Bentley Azure for half a million dollars. It would be a handsome addition to the two Rolls, a convertible and a sedan, and the custom-built Bentley limousine he had in the garage. Coop viewed the cars and wardrobe not as luxuries, but as the necessities of life. Those were the basics, the rest was cream. A houseman appeared from the kitchen with two glasses of iced tea on a silver tray. Livermore had disappeared. The young man hadn’t even left the room when Abe looked over at Liz with a frown. “He’s got to fire the staff. I want to do it today.” Liz saw the houseman glance back over his shoulder with a look of concern, and she smiled reassuringly at him. It was her job to keep everyone happy and pay what bills she could. Their salaries were always top on her list, but even those had to slide for a month or two at times. They were used to it. And she herself hadn’t been paid in six months. She’d had a little trouble explaining that to her fiance. She always caught up when Coop did a commercial or got a small part in a film. She could afford to be patient. Unlike Coop, she had a nest egg socked away. She never had time to spend money, and she had lived frugally for years. Coop was always generous with her, when he could. “He can’t pay them, Liz. You know that. I’m going to advise him to sell the cars and the house. He won’t get much for the cars, but if he sells the house, we can pay off the mortgage, and his debts, and he can live decently on the rest. He can buy an apartment in Beverly Hills, and be in good shape again.” He hadn’t been in years. But the house, Liz knew, was part of Coop, like an arm or a leg or an eye. It was his heart. It had been part of his identity for more than forty years. Coop would rather have died than sell The Cottage . And he wouldn’t part with the cars, she was sure. The idea of Coop behind the wheel of anything but a Rolls or a Bentley was unthinkable. His image was part of who he was, all of who he was in fact. And most people had no idea that he was in dire financial straits. They just thought he was casual about paying his bills. There had been a little problem with the IRS a few years before, and Liz had seen to it that all the proceeds from a movie he made in Europe had gone to them instantly. It had never happened again. But things were tough these days. All he needed was one great film, Coop said. And Liz echoed that to Abe. She always defended Coop, and had for twenty-two years. It was getting harder to do so lately because of the irresponsible way he behaved. That was just Coop, they both knew well. 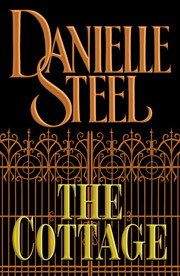 Excerpted from The Cottage by Danielle Steel Copyright © 2002 by Danielle Steel. Excerpted by permission of Dell, a division of Random House, Inc. All rights reserved. No part of this excerpt may be reproduced or reprinted without permission in writing from the publisher.